Information and up-to-date calendar of my Gong events. Monthly Newsletter signup at bottom of page. If you live in the Chicago area and are looking for a "Gong Bath," or any other related gong stuff; contact me! I can also get new Gongs, mostly Paiste, at a discount! If anyone is interested in making a purchase, let me know. Sound therapy, Dowsing, Crystal healing, EMF testing & mitigation, Amethyst BioMat sales & distribution. I sell singing bowls, bells, gongs & other artifacts hand made & from my various travels. Thoughts and essays on Gongs & Resonant Metals, their use, sound therapy, cymatics, frequencies, esoterica, etc. A look at all things percussive: Instruments, techniques, ideas, experiments, improvisation, etc. 40+ recordings of percussion based music, featuring Gongs & Resonant Metals. Kit Garcia is an acupuncturist, herbalist, artist, and yoga teacher in Austin, TX currently based at Dragonfly Wellness Center who incorporates sound healing modalities as part of her practice. These currently include Tibetan singing bowls, glass singing bowls, indigenous wind instruments, tuning forks, and percussive sheets and tubes. My name is Dielle and I'm the creator of Transformational Voicework which is a combination of vocal toning, voice play, breathwork, and movement based in shamanism and sound for clearing the past, hidden programming, and emotional blocks allowing one to fully open the throat chakra providing more creative juice, courage, and freedom in life. I'm the author of The Unknown Mother: A Magical Walk with the Goddess of Sound and Your True Voice: Tools to Embrace a Fully Expressed Life. Both books work with the 10 Gates of Sound (the vocal channel, breath, letters, words, stories, listening, vibration, vocal toning, true voice, and rainbow light), the former title through fiction and the later through non-fiction. My website, DielleCiesco.com, is a member site featuring my art, books, music, and sound and voice therapies including free tools in voicework. There is also an upgrade membership for deepening vocal toning skills with plans to reinstate and further develop a vocal toning certification course I was offering a couple of years ago. I'm happy to work with people wanted to experience this powerful work via Skype. Steve Sklar is a musician, vocalist, photographer and sound/energy/shamanic healer. A friend and student of the famed Tuvan ensemble Huun-Huur-Tu, he is the leading teacher and performer of Khoomei (Tuvan and Mongolian Throat-Singing) and Tibetan "low chordal" chanting voice outside of central Asia, and has taught around the world. In addition, Steve teaches didgeridoo both to musicians and sleep apnea patients. He also performs on guitar, didgeridoo, the igil (Tuvan horsehead fiddle), and many other exotic instruments. 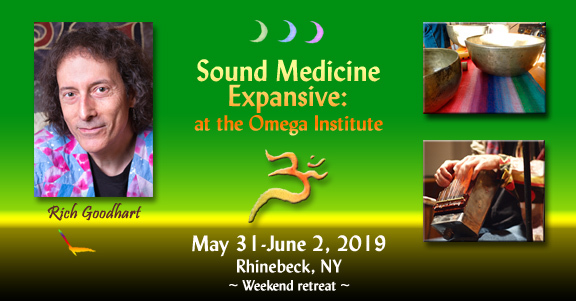 Steve's sound healing approach incorporates the use of the voice/vocal harmonics, didgeridoo, and Himalayan metalophones (Himalayan singing bowls, gongs, tingshas, etc.). I'm Joseph Feinstein, founder of Himalayan Bowls, source for new and antique singing bowls. Himalayan Bowls was the first website to offer singing bowls with sound clips and photos for every bowl. Now celebrating our 15th year and still offering the best singing bowls available anywhere! I'm a lifelong musician, singing bowl expert, voice and breathing teacher and Feldenkrais practitioner. As a former university teacher, my primary goal is to teach and help people select the best instruments. I have made several singing bowl recordings which are available for purchase, with lots of free tracks on my website. I'm also the founder of the Singing Bowl Museum, a representative collection of every type of antique singing bowl I have collected since 1999. Please share. We support the artisans keeping the singing bowl tradition alive. http://www.kosmasolarius.com "This is my website where I am presenting my projects." http://www.facebook.com/gongmaster.kosmasolarius "Gong Master Facebook page." http://www.facebook.com/Gong.Music.Instrument "Facebook page about the gong instrument." http://www.youtube.com/channel/UCYPmcJCjVZCMMWh9pBUZvxw "Gong Master Youtube page." http://www.soundcloud.com/gong-master-kosmasolarius "Gong Master Soundcloud account"
Bill Smith from North Carolina in the U.S. here. I am a drummer/percussionist that uses gongs, singing bowls and bells in therapeutic sound sessions as well as musical performance ranging from ambient to avant-garde. My website is http://www.drumist3.wix.com/billsmith. I'm Emmanuel Gaillard from Bordeaux (France). Hello, I just joined. I am a Luthier who makes stringed musical instrument. A lot of intention of creating something that is used for sound healing goes into my instruments. I also want to learn from others and be a part of a community.